Your small business is in need of financing. You know your credit stats could be better. What do you need to know and where do you start to find a small business loan? You believe you should start at your local bank, but you have heard it is difficult to get any kind of business loan, even if you have stellar credit. 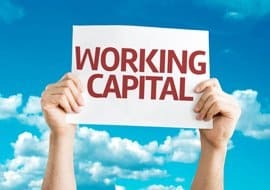 What Makes A Business Stand Out for Working Capital Consideration? Thousands of high-capital, low-interest loans are awarded to small businesses every day. Ideal loan candidates are businesses the lender knows and has ongoing relationships with. • Meet all requirements set by the lender or the SBA. Term loans are the bedrock of both your local bank and alternative lenders. When you sign a term loan, they will deposit the amount borrowed into the account you designate. Terms are agreed to and set forth on the loan paperwork. Your contract will state the amount borrowed, the repayment schedule, and a fixed interest rate. The terms of each loan vary based on a number of qualifying factors. Every lender has its own loan criteria. Your risk is determined based on things like your business’s financial condition, sometimes the personal creditworthiness of its owners, the amount of capital requested, and a number of other criteria. Candidates with the strongest applications will be considered for bank loans. Then, the strongest of those businesses will be considered for longer repayment terms, lower rates, and higher capital. The Small Business Administration was established to provide loans and other business-related support to small business owners in the United States. The SBA guarantees they will back up your loan with federal monies should you default on repayment. Because the lender has a co-signer on your loan, their risk is greatly reduced. If you qualify for an SBA loan, you will receive longer repayment terms, the lowest interest rate available, and possibly more capital than you would under a term loan from the same lender. Unfortunately, you are not the only company seeking an SBA loan. You may be competing with thousands of other businesses for the monies available with SBA backing. Who Are the Best Candidates for Small Business Loans? It would be nice if someone could punch your numbers into a computer and tell you whether you will qualify for one of the coveted SBA loans. Unfortunately, no one can. When a business loans you money, they are taking a risk that you will faithfully make every payment until your loan is repaid. The more money they loan you, the higher the risk they are taking on you. You must be a responsible business owner and keep your financial status in the “low risk” category. The term “profitable” means the amount of profit you generate when compared to your expenses. Lenders consider profitability one of the major factors when determining your eligibility for loan consideration. The longer the loan repayment schedule, the more important profitability is. The way they see it, you may be able to make your set payments for one year, but will your profitability continue for five, ten, or more years. You have probably heard that your personal credit score is golden, but your business credit score is also important. Experian provides a free copy here. Lenders may consider both your business credit score and the personal credit scores of the owners of the company. The term “creditworthiness” to a lender means whether you have repaid debts on time, slow, or late; whether you have ever filed a Chapter 7 or Chapter 13 bankruptcy; and if you have ever defaulted on a loan. Most lenders look for credit scores of 600 and over. The high 600s is more realistic for local bank loans. However, the higher your credit score, the more likely you will receive the loan you have applied for. One final note on creditworthiness. If you have had financial miscues along the way, you can take steps today to begin repairing your credit history. Putting your own money into your company demonstrates your commitment. When you risk your own cash, you are much more likely to put in the hard work required to make it a success. Lenders consider length of time in business as an important indicator of your ability to succeed. Startups are not considered good credit risks. In addition to your ability to prove your financial strength, lenders like to see a solid business plan outlining where your company is now, where it expects to be in the future, and how you expect to get there. The same characteristics that bring you more business than you can handle will also make you a great credit risk when applying for credit. Honesty, trustworthiness, organization, long-term relationships, and attention to detail will bring you great success in both areas of business.